This was a festival of field goals for a while – 6-6 at the half. And then the teams started to add TDs with the FGs to get to a 23-23 tie in regulation…with a Colts FG to win it in OT. Two teams that struggle on offense and defense played a game…and one of them won. I don’t know what else to say. The 49ers show me ‘little’ every week…except I lose a little belief that Kyle Shanahan is some kind of offensive genius. The Colts are hanging in the topsy-turvy AFC South…praying Andrew Luck will be enough to get them over. This is still a pretty bad team. They can claim two wins this year…both against 0-5 teams (CLE-SF)…and both by a field goal. -- What are the 49ers doing with Carlos Hyde (8-11-0, 1-7-0/1)? Why would they come out and disrespect him this week by saying they’re going with a hot hand? Three games ago, against the Rams on TNF, Hyde endured a hip injury and had to come out of the game; unsure to return. He pushed his way back onto the field through the pain and had a fantastic game and almost singlehandedly carried the team to victory. He’s had a fine season and 49ers’ career up to a low-performance Week 5…probably due to his hip. After all that, after one ‘bad’ performance (if you could call it that) in Week 5…why would you claim a ‘hot hand’? Why even say it at all if IT IS what you plan? No one wonders why a coach goes hot hand if he goes hot hand and a hot hand is found and he rides it. Preannouncing such a thing is strange. Treating your best offensive player like this very strange. If they hope to trade Hyde, the unrestricted free agent in 2018, why claim ‘hot hand’ now? It diminishes Hyde…like you know something is wrong. If they plan to keep him for the season…why do this? Has motivation been an issue? The guy has carried the load like a champ for years for the 49ers. I think John Lynch and Kyle Shanahan think they’re the smartest guys in the room. I know John Lynch has zero human emotions…he’s plastic, like the Manchurian GM he is. No original thoughts. If the media were a collective human – it would be John Lynch. I’ve listened to him as a game analyst on TV for years and I never remember ever being delighted or educated or impressed by anything he said. I always thought he was an empty suit full of himself. He’s not disappointing my take since taking over as GM for the 49ers. Shanahan…nothing I despise more than ‘son of a coach’ getting work. Is there anyone less worldly experienced than a kid growing up in coaching privilege of the father, and then getting jobs in an NFL organization because of the dad, and moving up the coaching ladder from there? I have no idea but I’m pretty sure Kyle wanted for nothing and never worked a menial job in his life. He may have fetched coffee as a ball boy as a kid…but ‘come on’. As I mentioned before, their pursuit and vigor for Utah RB Joe Williams was a colossal blunder that should have been so obvious – instead, they traded up for him and shot a mini-documentary on it because they were so proud to show how smart the two of them are. I want Sean McVay to have a career 8-0 record against them (I figure 4 years is as long as they’ll last). So, what do you do with Carlos Hyde in fantasy…two weeks ago a clear RB1 and obvious on-field talent? You’re screwed. Screwed by Lynch-Shanahan…Lynch-ahan or Synch. I do believe they are going to push Matt Breida…to show you how smart they are, and how much you are not. You have to hold Hyde to see what happens…and hope they trade him to Washington (please, no for my Samaje), Detroit, Indy or the Jets. None of which is likely to happen. How about to Dallas when/if Ezekiel gets suspended? Matt Breida is a nice complementary RB, not a long-term answer. Given enough carries, he’s going to pop something. He almost did in this game…a shoestring tackle thwarted a long TD run. He’s not a great receiver but good enough to take a screen and race it for a long TD…he’s like a poor man’s Tarik Cohen; very poor. If the 49ers push him…you want in. Long-term, he’ll flop as a workhorse because he has weak RB instincts – no patience, runs as fast as he can to where he’s supposed to go and hopefully there’s space if not he’ll just crash into a blocker or tackler. -- Is Marlon Mack (9-91-1, 1-2-0/1) taking over for Frank Gore a la Breida-Hyde? No. Not until the Colts are done for 2017. This is Frank Gore’s backfield until the Colts are out of the playoffs. Mack is going to see 5-10 touches a game until then but a takeover is not imminent. I think Pagano sees Mack for what he is…a great change of pace for them. Fresh legs. A wrinkle. Mack is living off of popping plays to the outside. The 49ers fell for it every time in this game…Mack would take a handoff between the tackles, the defense crowded the middle, Mack goes outside per usual…no one is out there to catch up. Smarter teams, better defenses wiped Mack out. In his two games prior, Mack ran 16 times for 21 yards versus Arizona and the Rams. I don’t think a star is born yet, but he’s is going to see 5-10 touches a game and that’s worth something. 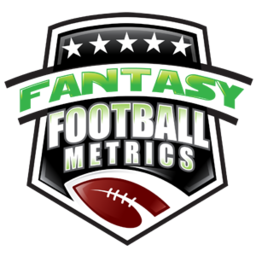 -- I got so excited about Week 4 Trent Taylor (1-5-0/1), the way he dominated Tyrann Mathieu and took a huge target count for the week. I was sure Brian Hoyer and the coaches would see the gold they had found here. So, the follow up in Week 5 – one target. Nice. I jumped the gun. I gave too much credit to Lynchahan. My bad. Eventually, he will be the guy in that Welker-role…but not yet. Now that I walk it back – 15 targets, 10 catches minimum this week. -- George Kittle (7-83-1/9) got that Trent Taylor Week 4 treatment in Week 5 here. Kittle had been a 3-3-2 for targets the prior three games. Much of Kittle’s action came late/OT…in two-minute drill type offenses. It was there for Hoyer…and he took it. I want to dismiss him because this as out of the blue, but he also caught (diving catch) a TD pass in this game early…and it was ruled out of bounds. Among the fringe TE1 hopefuls…Kittle is as possible as any other tight end on any given week. His high for yardage in a game before Week 5 was 35 yards. I see more blip than ‘big push’. -- 49ers IDP CB Dontae Johnson (9 tackles, 1 TFL), who I have been a long time fan of – 9 tackles in this game, 8 tackles last week. He may be breaking out a touch for IDP. -- The #2 scoring fantasy kicker (depending upon your scoring system) is…Robbie Gould. 14-for-14 on FGs this season. Week 10 BYE. Available free in too many leagues right now. For those in need/streaming. Jon Bostic (7 tackles, 1 TFL) has averaged 9.7 tackles per game the past three weeks, 8.0 tackles per game this season. Jabaal Sheard (7 tackles, 1.5 sacks) has seven tackles in each of his last two games, and 2.5 sacks in that span. Matthias Farley (6 tackles) continues to produce – 7.2 tackles, 0.8 PDs per game this season. -- Marquise Goodwin (5-116-0/11) had a big game, finally. Just when you thought it was OK to bury him. I don’t believe this was any more than a blip. Goodwin is the definition of a ‘blip’ WR.